Cala Deià is a spectacular cove surrounded by cliffs with bushes and pine trees, ending in a semi-circular beach into which a brook flows and features beautiful cultivated terraces. This little cove with its pebbles, surrounded by old houses and a pier, along with a seaside bar all bathed by the Mediterranean sun will surely be a delight you won’t forget. The best thing to do is bathe in the cool, clean, transparent waters, an unforgettable experience in Mallorca. Here you can see Francessa and Pequod anchored in Cala Deia (view from the C’as Patro-March restaurant). They serve excellent fresh fish here and the Cala is a great place to relax, swim and get involved in some watersports. For the adventurous types, Cala Deia offers some great rock jumping spots if you want to get out of your comfort zone! The water here is always very clear which makes the snorkeling first class. The T.V. 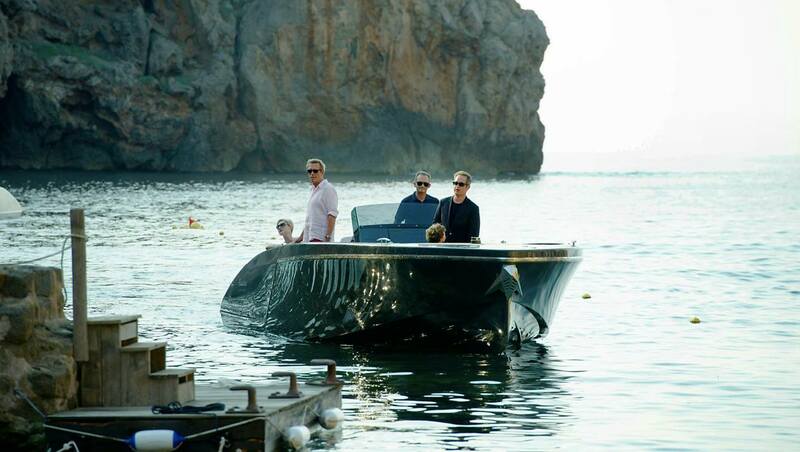 buffs amongst you might recognise this location, as it was used for the filming of the Night Manager.